As far as comics go, Carlos Sanchez Ezquerra (1947-2018) wasn’t one of the biggest names on the largely American-dominated world stage, but he should have been; certainly, the world of British comics would be a very different place today without him, and a much poorer one. Carlos, after all, came up with the distinctive look of Judge Dredd, probably the most famous and influential British comics character created in the last sixty years, and is still regarded by many as the definitive Dredd artist (even though, after the character’s first actual published appearance was drawn by someone else, Carlos refused to touch him again for over two years). But there was far more to Carlos than Dredd, or even his other most famous creation for the 2000 AD stable, mutant bounty hunter Johnny Alpha, the Strontium Dog, who first appeared in Starlord in 1978 (as with Dredd, Carlos parted company with Johnny Alpha for a while on a point of principle, refusing to draw ‘The Final Solution’, the story in which the character was killed off; luckily, when Johnny eventually returned, Carlos returned with him). 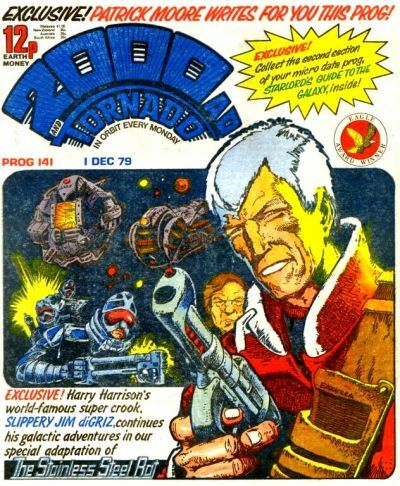 In fact, the genial, self-effacing Ezquerra had been drawing comics for over 45 years by the time he left us on October 1st, 2018. 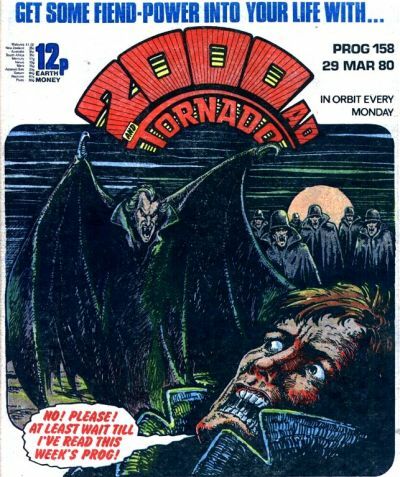 Carlos’s career began in Barcelona, where he drew various western and war titles before, like many Spanish artists of the time, venturing into the British comics market in 1973. Early on, he worked for Dundee-based publishers DC Thomson on Wizard, but by 1974 he was firmly entrenched at IPC, where he contributed to various girls’ comics as well as being one of the most successful and popular artists on the newly launched Battle Picture Weekly. 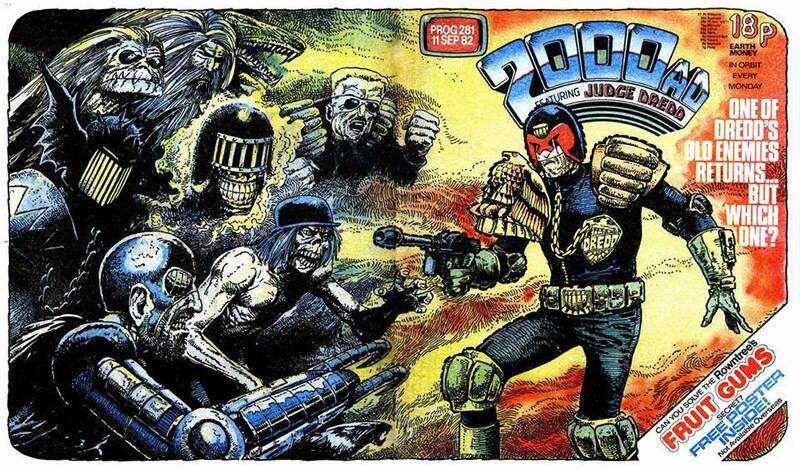 Carlos co-created the long running character Major Eazy (infamously based on James Coburn) for Battle, drawing over a hundred instalments of the strip; thirty years later, he came up with an updated version of the character, Cursed Earth Koburn, for the Judge Dredd Megazine. He also drew fan favourites Rat Pack for Battle, but it was his work for 2000 AD that really cemented his reputation as one of Britain’s favourite comics artists; after co-creating Dredd, and then Johnny Alpha, he also lent his talents to such fondly remembered stories as Fiends of the Eastern Front, Anderson: Psi-Division, Durham Red, The Mighty Tharg, ABC Warriors and The Stainless Steel Rat (the latter based on Harry Harrison’s novels) as well as rather less memorable strips as Janus, Psi-Division and the revived Rick Random. 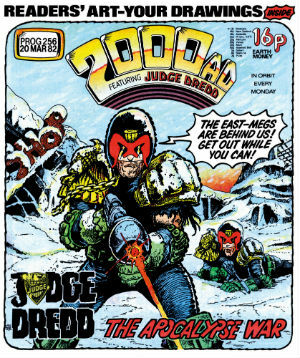 He co-created the wonderfully comedic Al’s Baby for the Judge Dredd Megazine, and the relentlessly serious Third World War for the short-lived mature readers title Crisis, though it tended to be in stories containing a strong element of humour that his talents really shone through; scenes like the one in which Johnny Alpha’s Viking sidekick Wulf, on a tim- travel mission to abduct Adolf Hitler, silences the ranting Nazi leader by stuffing a sock in his mouth have stayed with readers for years! 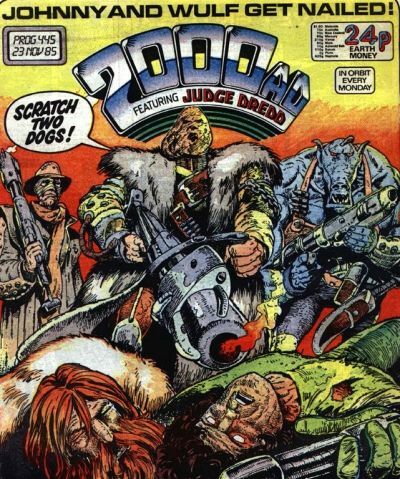 In the 90s, while continuing to work for 2000 AD, Carlos branched out into the US comics industry, collaborating with his frequent 2000 AD cohorts John Wagner and Alan Grant on Bob the Galactic Bum for DC Comics and later working on a variety of projects for a number of publishers (including Bloody Mary, Hitman, Just a Pilgrim, Preacher, A Man Called Kev and Adventures in the Rifle Brigade) with Northern Irish writer Garth Ennis, whose particular brand of humour seemed to be perfectly complemented by Carlos’s quirky style. 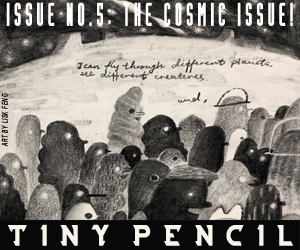 Though he slowed down a little in his later years (when his work was often inked by his son Hector) Carlos, who was diagnosed with lung cancer some years ago, continued working until the very end, when an unexpected resurgence of the cancer finally took him from us at the absurdly young age of 70. In 2015, Carlos was awarded the San Diego Comic Con Inkpot Award for Achievement in Comic Arts, but a much earlier tribute would likely have pleased him more; Carlos Sanchez Robo-Stogie, the robotic sidekick of Grant and Wagner’s classic 2000 AD character Sam Slade: Robo-Hunter, was named after Carlos, and that seems like just the kind of joke he’d have loved! Read the official 2000 AD tribute from where the “heart and soul” reference in this article’s title came here.